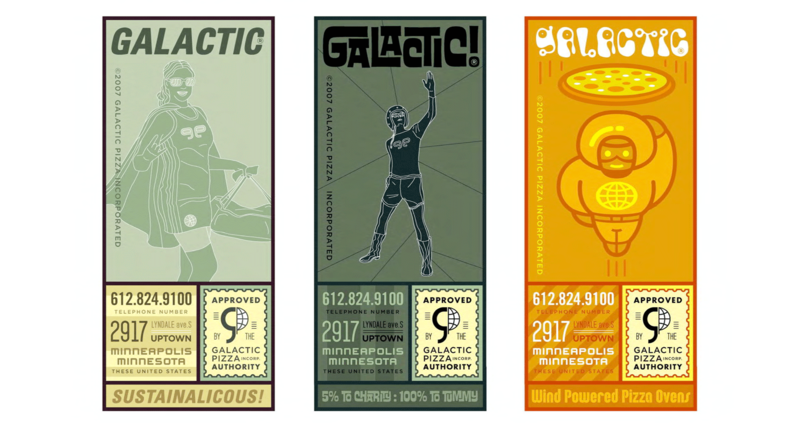 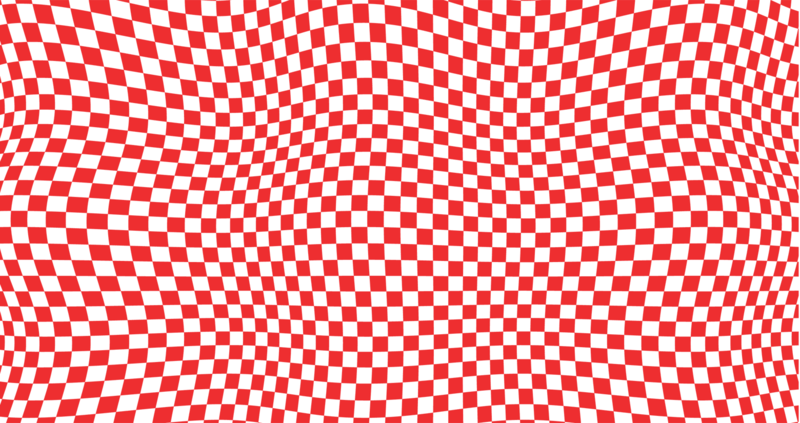 Always looking for ways to create a more sustainable and harmonious planet (and restaurant), Galactic Pizza enlisted Replace to redesign and help procure a groovy new aesthetic that embodies and honors Galactic Pizza’s sensibilities and maintains an earth-friendly production system. 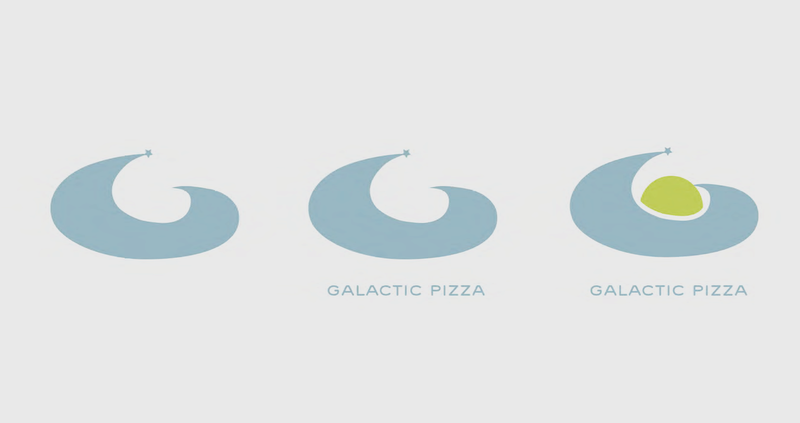 Replace worked closely with Galactic Pizza to create a new identification system that helped usher in a new logo, menu, website, etc. 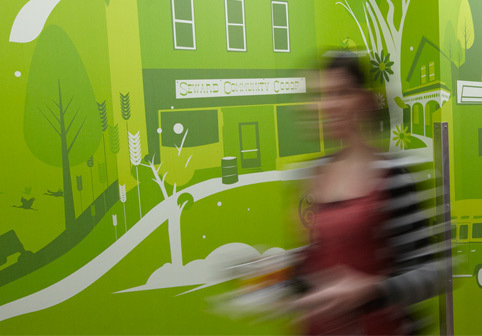 and the beautiful yet frustratingly un-recyclable pizza box. 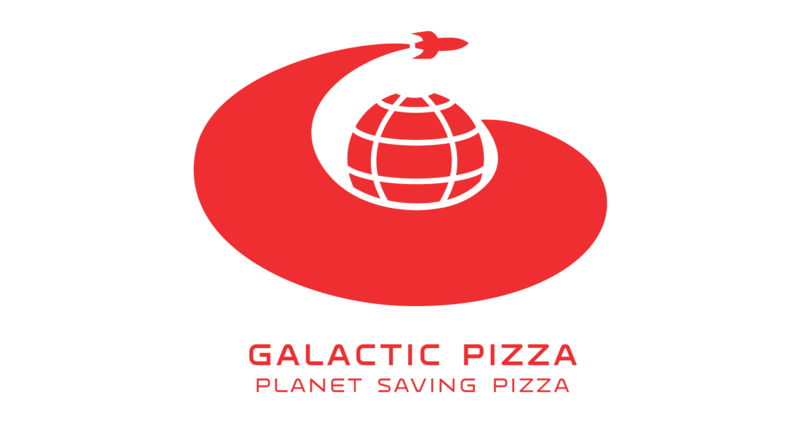 Due to grease saturating pizza boxes, they are sadly not recyclable. 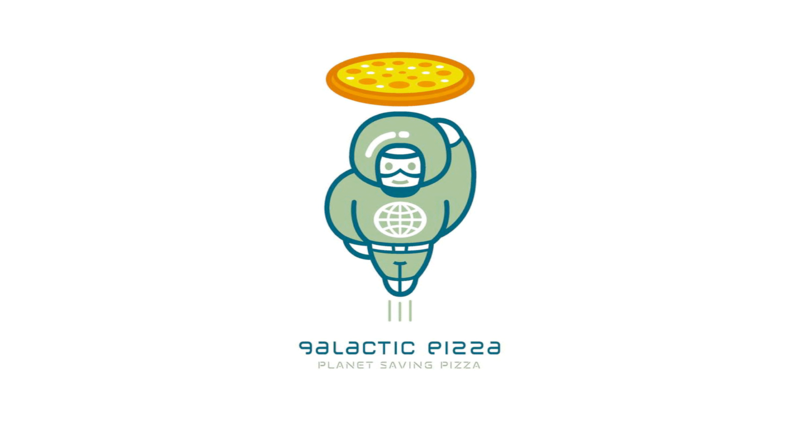 Replace designed a pizza a box (that could just as easily double as a corrugated piece of art) that would serve as a coupon to be brought back into Galactic Pizza for a discount and then disposed of in the Galactic Pizza compost pile…Pizza 1, waste 0. 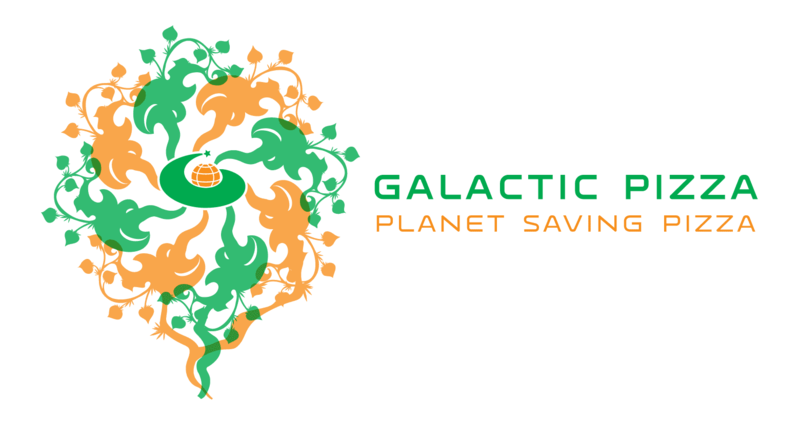 Since pizza boxes can’t be recycled, we designed them as a coupon for $1 off your pizza so customers would return the boxes for composting. 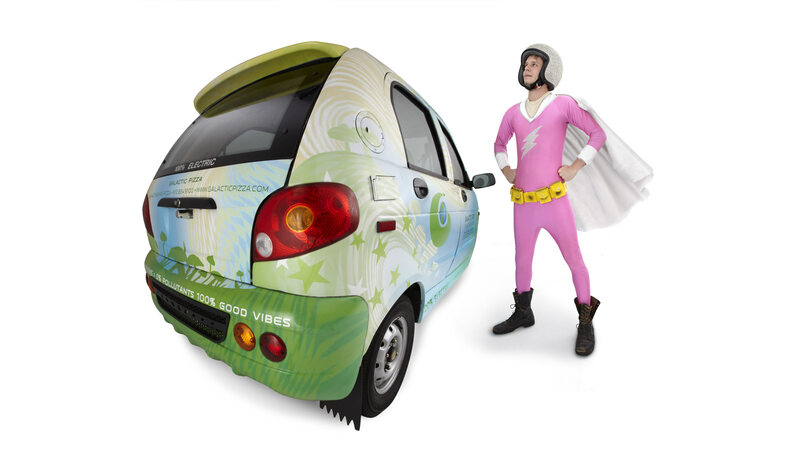 The Galactic fleet of electric delivery cars helps save the planet by reducing the carbon footprint of pizza delivery, and each one is driven by a super hero! 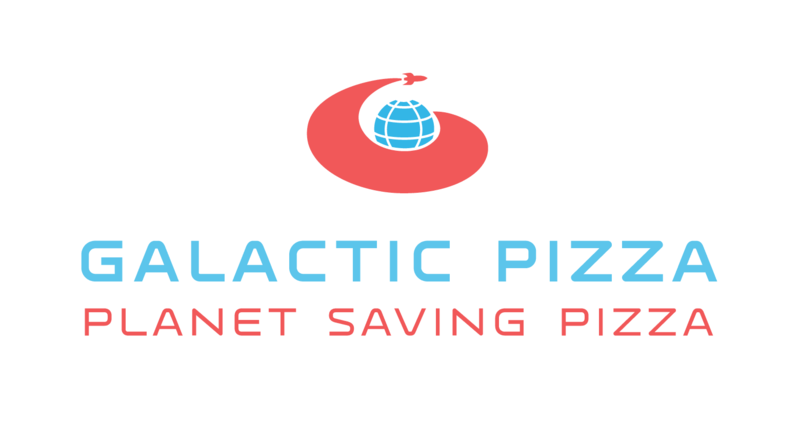 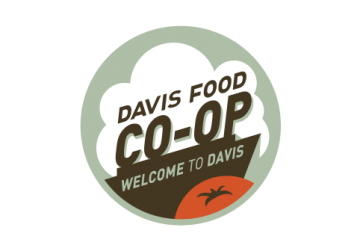 In the preliminary design phase, we explored several directions for the brand identity that stemmed from the idea of a pizza restaurant that is “Saving the Planet”. 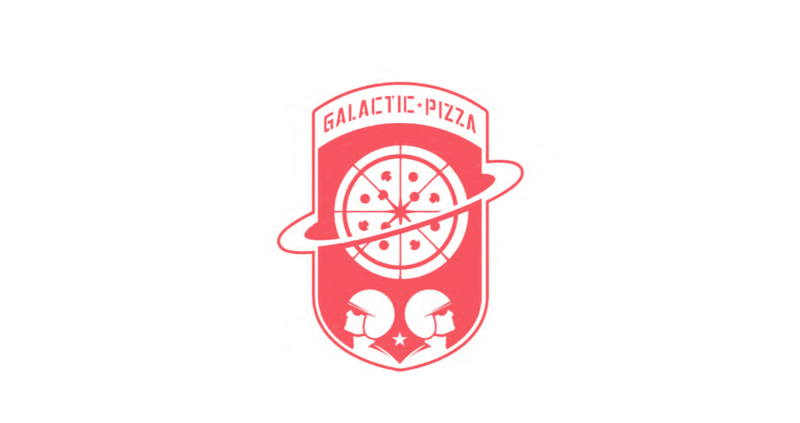 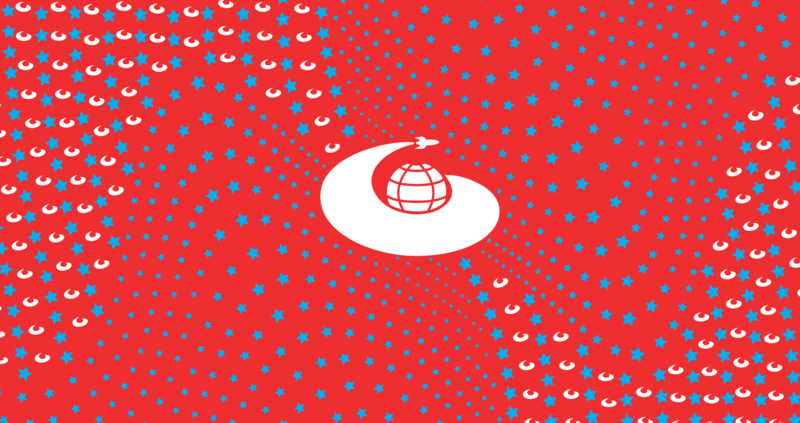 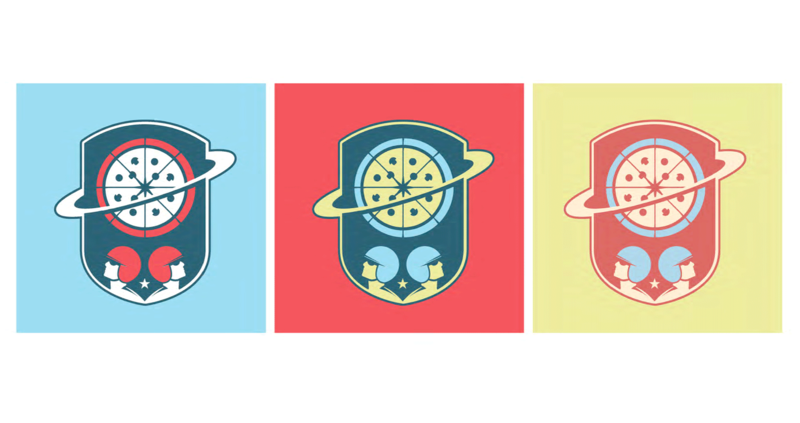 After the client chose a direction for the logo mark, we explored several color palettes, patterns, and illustration styles that would later become the Galactic Pizza Identity System.